Finally! 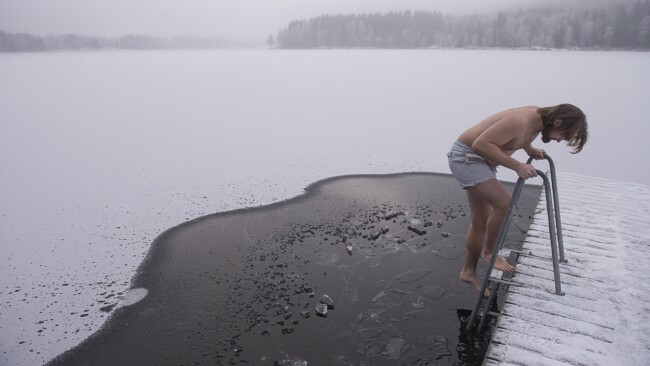 Now is the season for ice bathing and many Norwegians are following ancient traditions and refresh themselves in frozen fjords and lakes. When you take an ice bath, endorphins that have an analgesic effect are released. Besides, endorphins have an antidepressant effect, and as a result you will probably also get in a better mood. 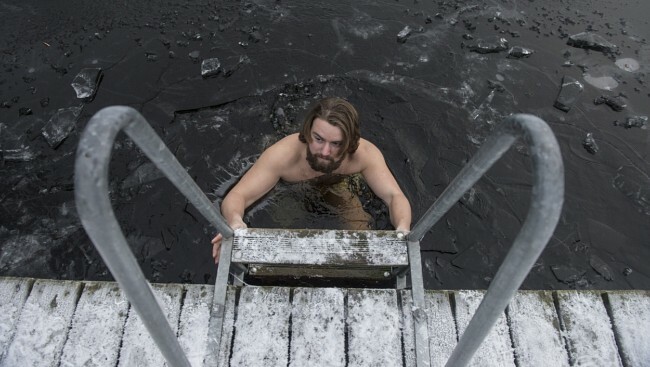 Many ice bathers say that “the blood flows faster through the veins” after a cold dip – and that is precisely what is happening according to a study by the Finnish doctor Kyllikki Kauppinen. When the skin makes contact with the cold water, the blood vessels constrict and the blood pressure rises to avoid hypothermia. Find yourself a lake or a fjord and chop a hole in the ice. Be sure the ice is safe before walking on it (if not, you may end up getting a freezing bath before you are aware of it – which can be fatal). Replace the winter clothes with swimwear. Dip your toe in the water. It does not hurt to pretend that you are a real Norwegian Viking. When you have come this far, do not be surprised if you get cold – but remember that ice bathing is healthy! Enjoy your time in the water and get out when you feel like it. NB! Do not swim!